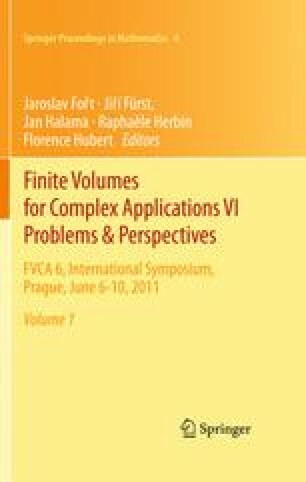 We derive an Implicit Explicit finite volume scheme for the computation of radiation hydrodynamics. The convective part is handled through a classical upwind method while the reactive and diffusive parts are discretized thanks to a centered scheme. These results are compared to semi-analytic solutions obtained by Lowrie and Edwards .